The 2016-17 season has come to a close. The season saw many memorable shows come and go over its course. 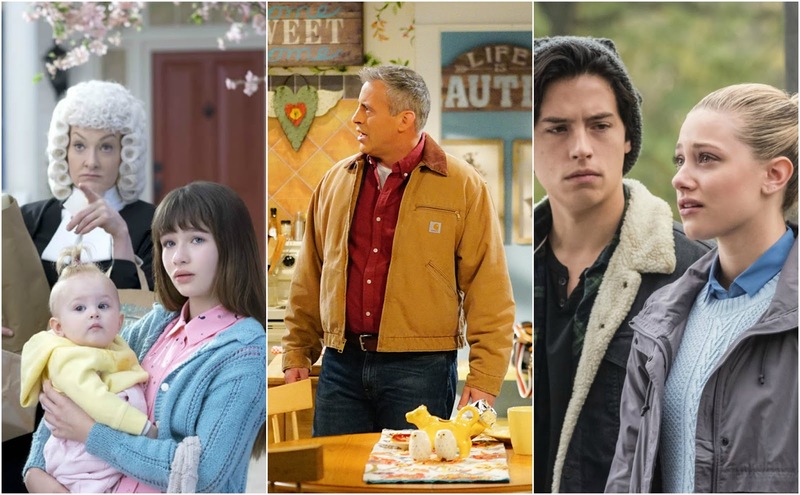 We said "hello" to such newbie success stories as This Is Us and American Housewife and "farewell" to long-running series like 2 Broke Girls and Bones. But the season wasn't just limited to a few success stories and a few sad farewells. 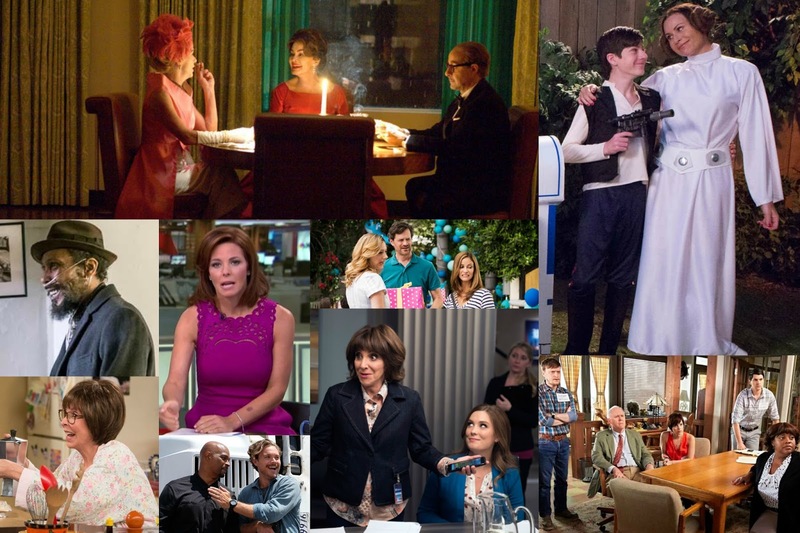 The season brought a lot of shows across broadcast, streaming, and cable. Some were huge successes. Others have already been forgotten. I watched and enjoyed many of the shows from the season (some may say too many), but some really stood out. These are the twenty best shows of the 16-17 season, plus a few honorable mentions. I really enjoyed all three of these shows, but for one reason or another, they all fell short of this list. All three had something special about them, and I do truly enjoy them, but they didn't do quite enough to make it. That's not to say that they aren't good shows, though. 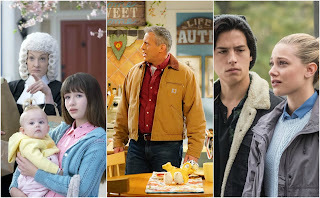 A Series of Unfortunate Events saw numerous wonderful performances, Man With a Plan consistently made me laugh, and Riverdale constantly kept me hooked to the TV screen. All three could have easily made it on this list. 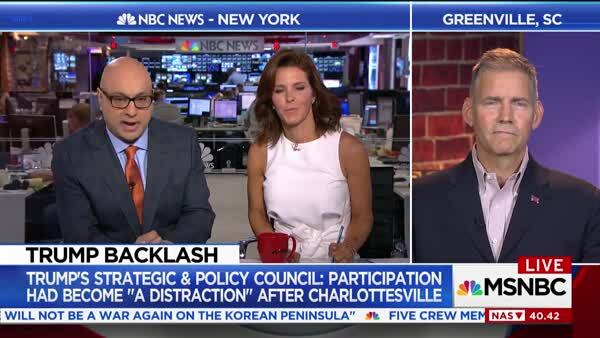 The only unscripted program to make this list, this daily MSNBC series pairs business experts Ali Velshi and Stephanie Ruhle, who work absolutely perfectly together. The laid back personality of Velshi balances the fiery Ruhle, making them a match made in heaven. Another great thing when you have two news anchors working together daily is that they have chemistry, and these two certainly do. You can just tell that they're actually friends in real life, which makes for an enjoyable watch. They do wonderful interviews, with their interview with Brad Thomas going down as one of my favorite interviews of all time. Imaginary Mary is one of two new ABC sitcoms to star an adorable-yet-mischievous creature, and that adorable creature, Rachel Dratch's Mary, makes this show. Without Mary, this is just a run-of-the-mill family comedy (to quote Seinfeld, "Not that there's anything wrong with that). But with the addition of Mary, it flourishes into a wonderful fantasy sitcom that had enormous potential. The show only lasted for 9 episodes, but it did make an impact on me. 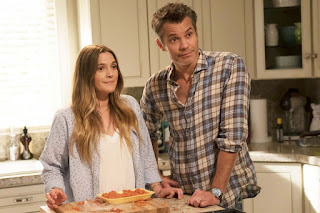 For a Good Episode, Try: Episode 8, "Last Dance With Mary"
I'm a big fan of Drew Barrymore, so I was planning on trying this out no matter what. When I found out what the titular "Santa Clarita diet" actually was, I did get a bit turned off, as zombie movies and shows aren't really my thing. But this is so much more than the premise and so much more than its stars. The show itself, from its wonderfully wacky plots to the off-the-walls amazing writing, is what really shines here. It's ten episodes of pure joy (with some gross stuff thrown in there, as well) that I just couldn't stop watching. I don't think there's been a Netflix show that I binged so quickly. 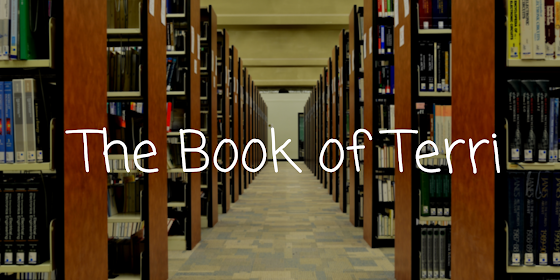 For a Good Episode, Try: Episode 9, "The Book!" I seriously had my doubts about this show, as movie adaptations are traditionally terrible. But this one was not. 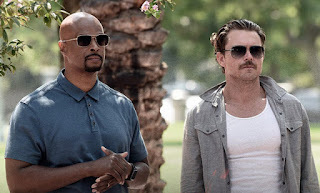 Clayne Crawford delivered one of my favorite performances of the year, and he also had great chemistry with his onscreen partner Damon Wayans, the Murtaugh to his Riggs. It has a great blend of comedy and drama, and it has really interesting stories each week. I'm a procedural fan, but this show is much more than your average procedural. It has heart, laughs, and action, which makes for a darn good show. For a Good Episode, Try: Episode 17, "A Problem Like Maria"
This gem is little-known, but that doesn't mean it isn't good. Quite the opposite actually. This was one of the shows that helped me survive the Summer 2017 broadcast hiatus, bringing the much-needed laughs weekly. I only decided to watch it the day it premiered, and I'd never even seen a promo, so I had no clue what to expect from it. Luckily, I watched it, and was surprised by how hilarious it actually was. It definitely brings the shock value, pulling that off better than just about any other new show this year. Star Andrea Savage is truly hilarious, and this is probably her best role yet. For a Good Episode, Try: Episode 8, "Weekend Alone"
I hadn't even heard of the Guest Book until a few days before it premiered, but with Raising Hope's Greg Garcia behind it, I just had to try it out. The semi-anthological concept of The Guest Book is truly a great one, executed perfectly. It's something that pretty much anyone who's ever stayed in a hotel has thought about, and while this show definitely takes hotel life to an extreme, it definitely makes you think. 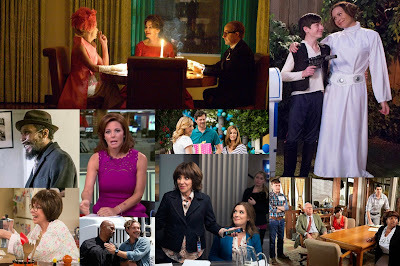 It's also welcomed many great guests throughout its fist season, with appearances by Office star Jenna Fisher, Mom's Jaime Pressly, Esteemed Character Actress Margo Martindale, and Trophy Wife's Michaela Watkins all standing out. For a Good Episode, Try: Episode 8, "Story Eight"
I will admit that at first, Claws wasn't really my cup of tea. The Pilot wasn't really all too great, but starting with episode two, it just got better and better. It's one of those rare dramedies that has a real balance between the two. It's not just a drama with some jokes, and it's not just an hourlong comedy. It combines dramatic and comedic aspects with nearly perfect results, resulting in a wonderfully over-the-top show that left me wanting more each and every week. While the entire cast is spectacular, Niecy Nash (coming off a career-best role as Denise on Scream Queens) and Carrie Preston shine the absolute brightest here, with both delivering amazing performances week after week. 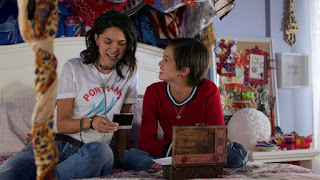 For a Good Episode, Try: Episode 9, "Ambrosia"
I don't usually watch Disney Channel, and I actually didn't even watch this little gem until just before its second season debuted. I'd heard many good things about it, and luckily those things convinced me to give it a try. I was expecting a traditional cheesy Disney show, but what I got was a smart, sophisticated show that got me hooked immediately. I quickly consumed all twelve episodes of season one, and wanted more immediately. Lizzie McGuire creator Terri Minsky created this one as well, and I'd even say that this show is the superior of the two. For a Good Episode, Try: Episode 7, "Dad Influence"
Not even slightly family friendly, The Mick is one of TV's raunchiest and crudest shows, but with It's Always Sunny star Kaitlin Olson leading the cast, that's hardly a surprise. But what it lacks in family friendliness, it makes up for in the laughs it delivers. The entire Pemberton family is just as crazy as the titular character, providing for plenty of opportunities for the laughs. 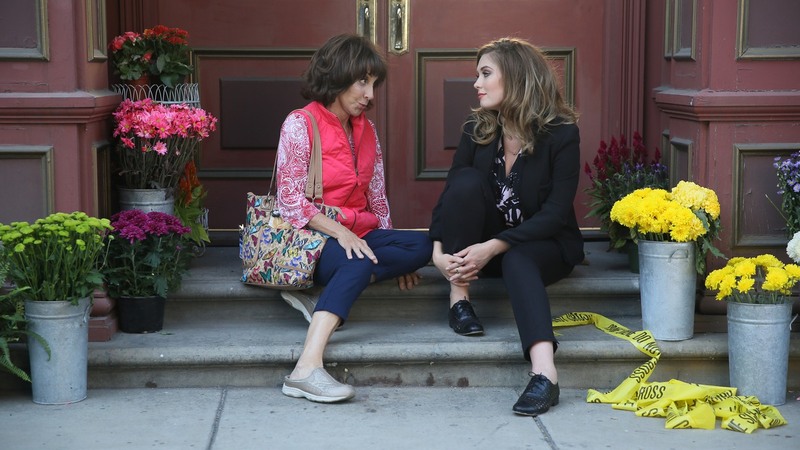 The show fits like a glove in the Fox comedy roster, which is most certainly a compliment. For a Good Episode, Try: Episode 16, "The Implant"
One of America's newest obsessions, This Is Us is also one of my obsessions. The family dramedy is one of those tug-at-your-heartstrings shows that I just adore, and it's probably one of my favorite of the genre. The two timelines helps set it apart from the rest, sure, but it also helps add depth and background to the lives of these characters. It helps us connect with them on a deeper level, which is absolutely necessary in a show of this type. 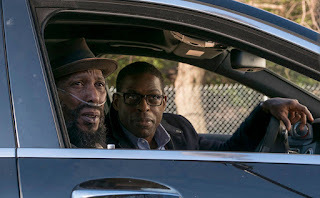 It's also had many episodes that just knock it out of the park, with the "Memphis" episode being one of the greatest episodes of TV I've seen in a very long time. For a Good Episode, Try: Episode 16, "Memphis"
I've always been a big fan of the ABC family comedy, so I was predisposed to liking this one from the start. I'm also a big fan of Minnie Driver and I enjoyed her previous effort at a family sitcom, NBC's About a Boy. But this show is different. As much as I enjoyed About a Boy, Speechless is certainly better. It's a family comedy with a nice twist, with the inclusion of a disabled character that was actually played by a disabled actor being much different than the norm. It's a twist that sets the show apart, and makes it a different and wonderful addition to the vast family comedy landscape. 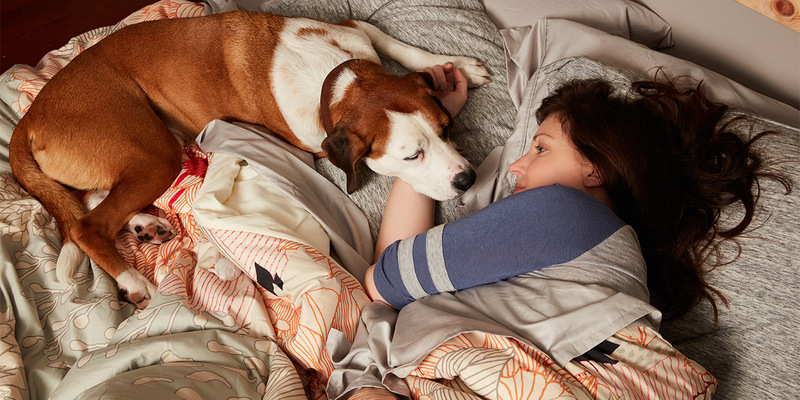 For a Good Episode, Try: Episode 8, "R-a-y-c-Ray-Cation"
Downward Dog has a premise that appeals to both animal lovers and comedy lovers alike. It's a sweet little show that had heart, humor, and, best of all, an adorable star. No, not Allison Tolman. I'm talking about Ned, the dog portraying the lovable and super emotional Martin. The premise of a girl (or woman, rather) andher relationship with her dog is a simple one, but it's one that works. So, so well. For a Good Episode, Try: Episode 5, "Trashed"
I'm not traditionally a big fan of reboots, especially ones that reboot properties that are super iconic. One Day at a Time certainly qualifies as "super iconic," so I was skeptical that they'd be able to pull it off. Luckily, original series producer Norman Lear returned for this one, so that can't have hurt it. Rita Moreno delivers the performance of her lifetime here, and the rest of the cast is also great. It's also a very sweet, heartwarming show that's great for the entire family. It really has something for everyone. For a Good Episode, Try: Episode 13, "Quinces"
For a Good Episode, Try: Episode 6, "Part VI"
One of 2016-17's smartest and most innovative new shows is The Good Place, created by modern comedy god Mike Schur. The show truly is unlike anything else on television, and that's definitely a good thing. The cast, led by Kristen Bell and Ted Danson, truly is incredible, helping to bring these characters to life and make them more than just a bunch of weirdos. A show like this could have been a huge mess, but it's not. It's incredible. Better Things is one of two FX series that made its way onto this list, and if you've watched it, it's not hard to see why. 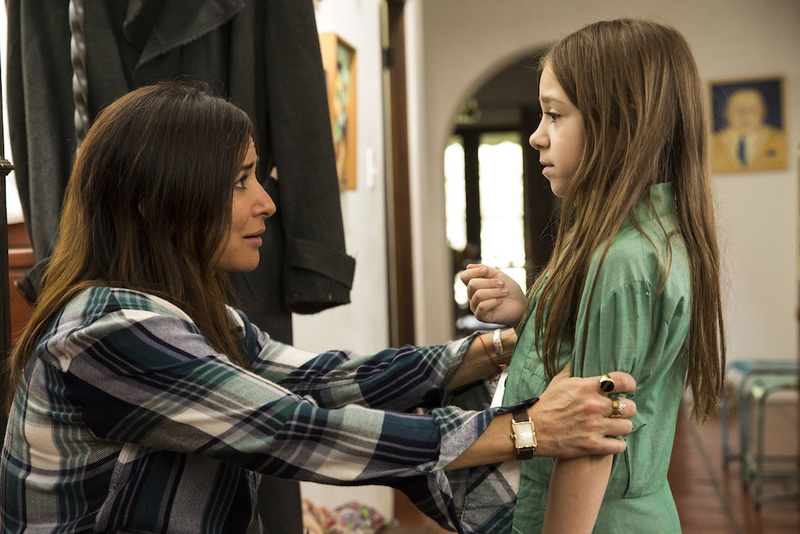 Starring creator and writer and director and producer Pamela Adlon, the series is probably one of the most honest and real shows on television, in addition to being one of the best. The entire cast here is great, with the young actresses playing the daughters of lead character Sam all delivering stellar performances. For a Good Episode, Try: Episode 10, "Only Women Bleed"
The trailer for this show really did it no justice, and so I went into it with pretty low expectations. The show surprised me though, with a strong pilot and a wonderful second episode. The main character was equal parts sassy and hysterical. 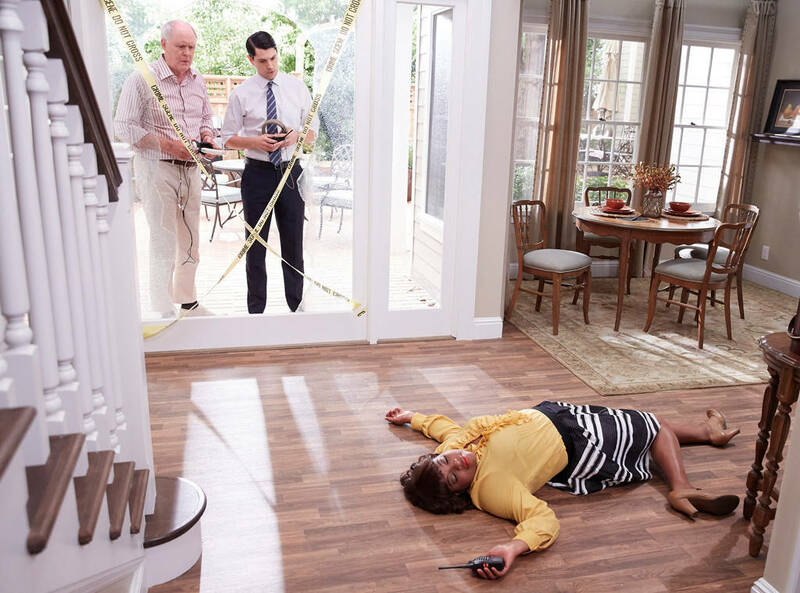 Mixon brought her great comedic talents that we saw on Mike & Molly to her role as Katie Otto to great success. She was the perfect choice to play Katie. Her family is also hilarious, with her daughter Anna-Kat providing the most funny moments. 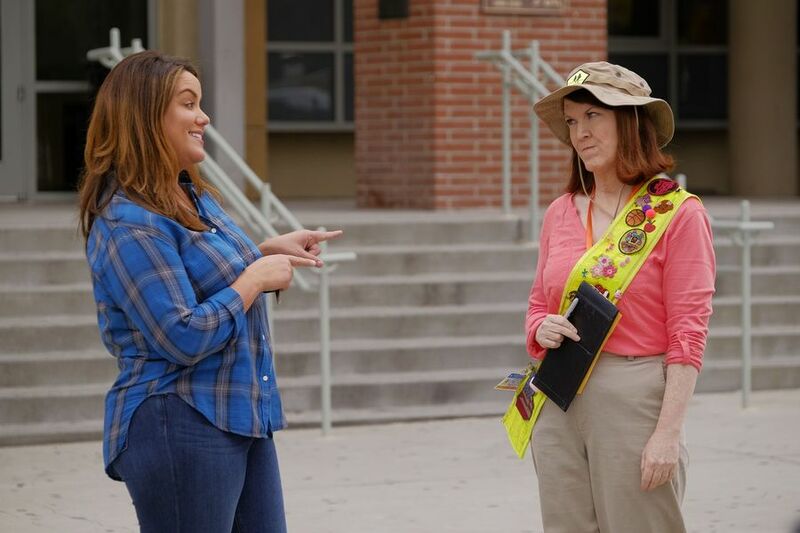 The show just works really well, and the recurring guest appearances from Kate Flannery's Crossing Guard Sandy certainly add a lot to the show. For a Good Episode, Try: Episode 14, "Time for Love"
John Lithgow (who I've loved for most of my life due to my grandfather's 3rd Rock obsession) was the only reason that I was really excited for this show, and I wasn't quite sure what to expect from it. From the first episode, I knew NBC really had something special going on with the show. It wasn't just Lithgow that impressed me. It was the whole show. From the entire cast (with its wonderful chemistry and great comedic timing) to the writing to the sets, this show showed it was one of broadcast's best. I love that serialized comedies are becoming more common, and this show had a great season-long story arc that wrapped up lovely (and very funnily) with that beyond-perfect season finale. 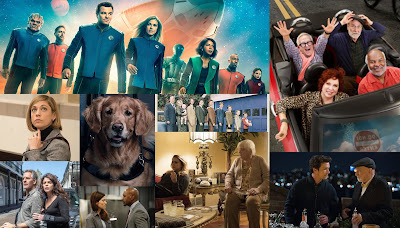 For a Good Episode, Try: Episode 13, "The Verdict"
The highest-ranking comedy on this list, Great News was by far my most anticipated midseason broadcast show. With Tina Fey involved and vibes of my all time fave 30 Rock, this was a show I needed. Throw in comedy legend Andrea Martin and some other funny faces like John Michael Higgins and Horatio Sanz, and you've got comic perfection (well, as close to it as it can possibly come). It was one of two incredible post-Voice Tuesday comedies, and it just won out the top comedy spot. It was very funny from Pilot to Finale, with some funny episodes that I enjoyed revisiting in the seemingly never-ending Summer break that thankfully came to an end a few weeks ago. Martin is the standout here, but the entire cast is immensely talented. For a Good Episode, Try: Episode 7, "The Red Door"
While I loved every other show on this list, my choice for #1 was an easy one. It had to be Feud. From the fantastic, Emmy-worthy, performances to the wondrous storylines, nearly everything about Feud was perfect. I really can't think of anything about Feud that I can criticize, something I can do with every other show on this list. 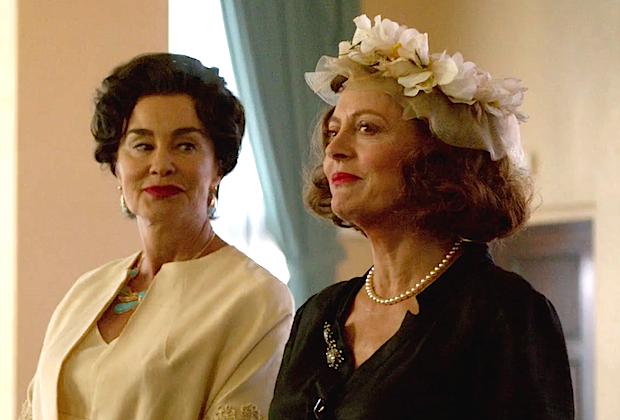 Jessica Lange was fantastic as always, but Judy Davis (who I'd honestly never heard of before this series), Jackie Hoffman and Susan Sarandon were fantastic as well. Add to that some fantastic writing and directing, and you've got one great show. The Oscar and finale episodes were truly standouts, but the whole show was perfect and needs to but watched. If you haven't yet watched it and you're still reading this, well, I have a friend for you. And that friend is named Amazon. For a Good Episode, Try: Episode 5, "And the Winner Is... (The Oscars of 1963)"
What do you think of my list? What are your favorite 2016-17 newbies? Let me know in the comments and don't forget to vote in the poll below! What is your favorite new show of the 2016-17 season?